Figure 2. Hydraulic Hammer Pins. Figure 1. Pin Punch and Roll Pin. Figure 4. Pin Punch and Roll Pin. 5. 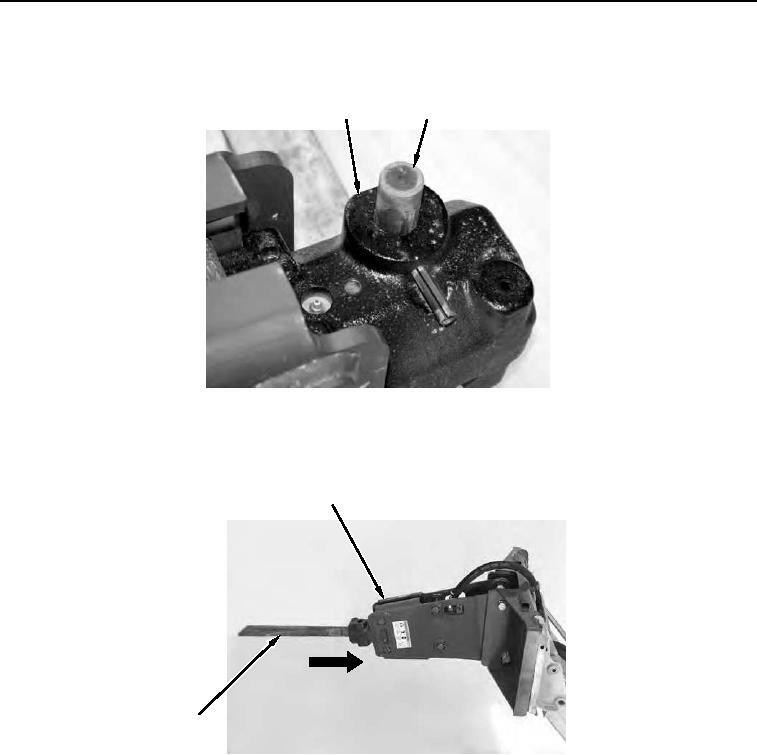 Remove retaining pin (Figure 2, Item 2) from housing (Figure 2, Item 1). 6. Insert attachment (Figure 3, Item 2) into housing (Figure 3, Item 1) and align attachment with housing bore. Figure 3. Installing Attachment on Hydraulic Hammer.